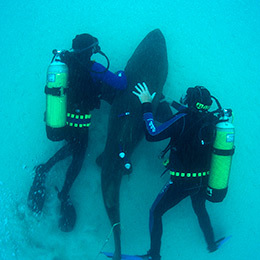 Scientific research is where we started back in 2003: we were the first organisation in the world to initiate the satellite tagging and releasing of raggedtooth sharks from an aquarium back into the wild as part of our exciting research project, the M-Sea Programme. In addition, our highly respected Board of Director members, Dr Leonard Compagno, Dr Malcolm Smale and Prof Charles Griffiths, are recognised as leaders in their areas of research. 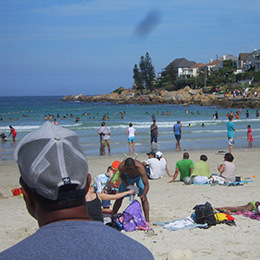 Apart our close affiliation with the Shark Research Institute in the USA, AfriOceans is currently involved in an independent monitoring research project, the Cape Town Shark Project, on the shark exclusion net in Fish Hoek, South Africa.